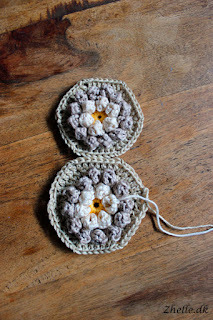 I haven't done that much progress on either of my projects. 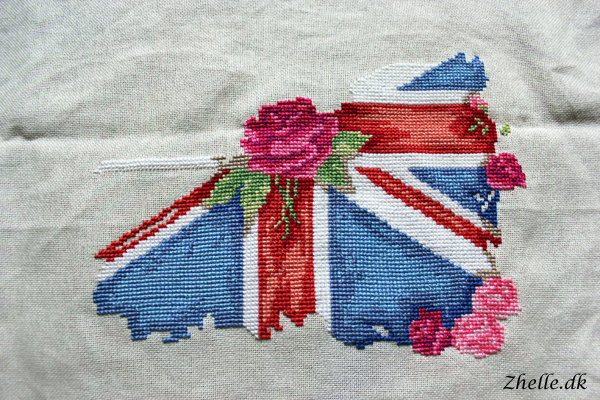 I have done a little bit of embroidery on my Flying the Flag pillow case project. 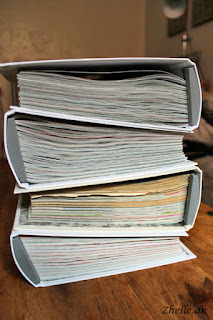 This is what I am enjoying to work on the most right now. Since last time I've filled out the blue in the left triangle and I have added the white and red you see to the left as well. I do like the way it is starting to look! 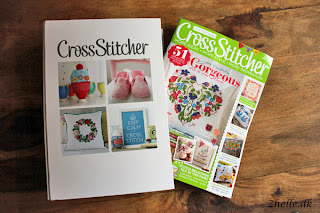 Because I did not have that much progress to show you, I would instead like to tell you how I got into cross stitching in the first place, and show you my collection of the CrossStitcher Magazine, which I have been collecting for years now. It started a long, long time ago. I got a kit with a pillow cover with a teddy bear on it. I finished it with help from my family, and I was - and still is - super proud of it. That was the beginning of my love of cross stitch. In my kiddy after school care we had a hobby room, where there was access to aida fabric and easy cross stitch patterns. 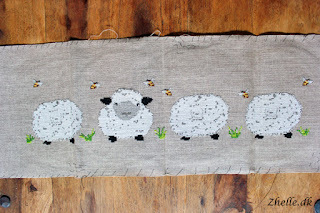 I in particular remember a Christmas cross stitch bear, and during that project I learned one of the most important things of cross stitch: When doing stripes of cross stitch, do count the amount of lines before your bear gets an unnatural long body! I still remember that bear, but the actual project has probably been thrown out a long time ago. When I moved from the kiddy after school care to the bigger kids after school care, I got out of cross stitch. Instead it was sewing that caught my attention. One day in the local mall I went into the local yarn and fabric store, and there was this cute little kit with a heartsease. I just had to buy it and make it. I did, and I gave it to my mum, who has it somewhere, not quite sure where it's hiding these days! Do not start a new project before you finish the one you are on. That way your projects don't get lost. When I moved to London, one day me and Shaun went into the local W. H. Smith and I spotted the section with cross stitch magazines. There were so many to choose from! 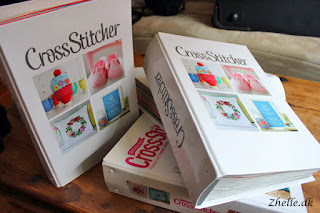 I finally chose one I liked, which happened to be the CrossStitcher and after buying a few of them, I decided to subscribe, and I am still a loyal subscriber today. 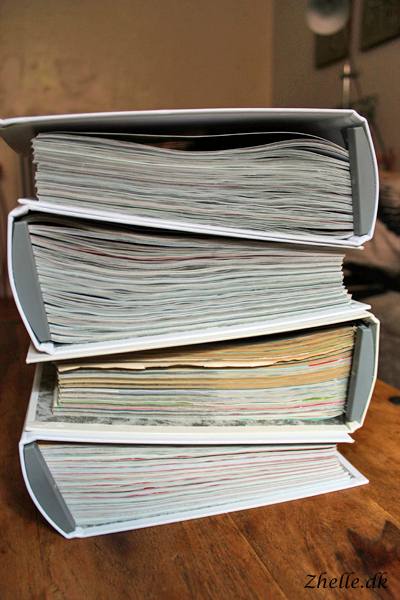 My collection so far goes from issue 218 and fills up almost four folders. 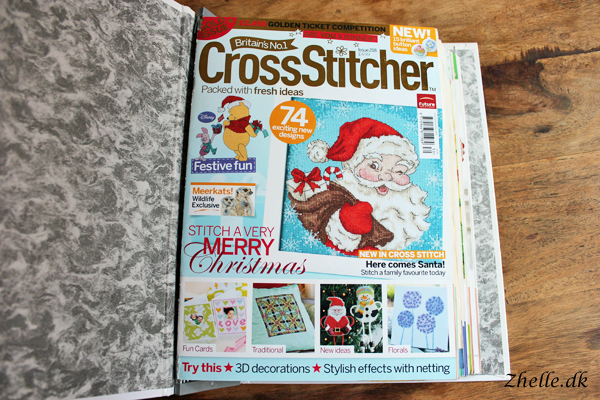 I absolutely love most of the patterns there are in the magazines, and I adore the little presents that comes with each subscription. One thing I have learned though is to use my own DMC threads instead of the ones in the little kits, as they are so short they are super annoying. 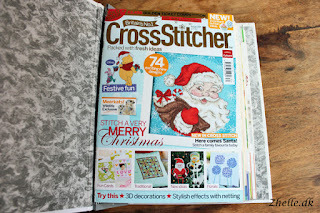 From the day I spotted that cross stitch magazine on the stand, I have always had a cross stitch embroidery going! And I love it to bits! Anyone else wants to share their stories? Please do in the comments section!